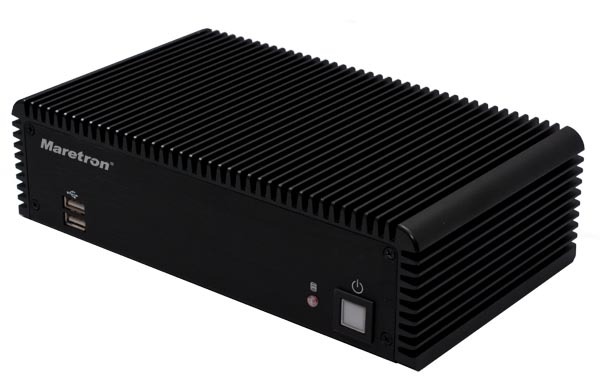 Maretron's Black Box Computer (MBB100) is a dedicated processing unit that comes preloaded with Maretron's N2KView® vessel monitoring and control software. Unlike a PC that allows any software to be loaded, the MBB100 runs only N2KView® software making it extremely stable and dedicated to monitoring and controlling your vessel. The MBB100 connects to a monitor through a VGA connector and associated touch screen through a USB or serial port connection. Alternatives to controlling the N2KView® software through a touch screen include keyboards, mice, or track balls connected through USB ports. 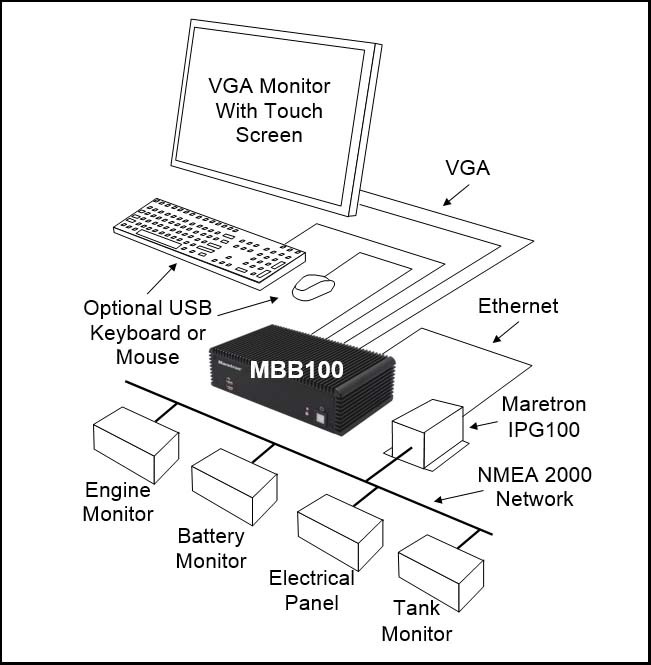 The MBB100 has an Ethernet port for communicating with an NMEA 2000® network through Maretron's Internet Protocol Gateway (IPG100). The Ethernet port is also used for connecting Internet Protocol (IP) cameras for viewing within the N2KView® software. Although the MBB100 comes pre-installed with the N2KView® software, a separately purchased license key plugged into the IPG100 is required. (see IPG100 for more details).